If you are looking for a traditional late spring, early summer flower that can survive some tough winter elements, the standard Bleeding Hearts – Dicentra spectabilis is an excellent choice. 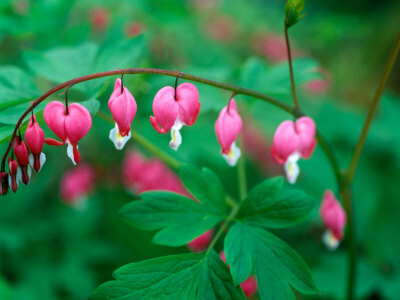 A staple in many old-fashion gardens, the standard is known for its unique form and color. In its moment, it is a show-stopper. One word of caution – it is a poisonous plant if ingested. In my garden, I have both the white, ‘alba’ and old-fashioned pink. It displays well with hostas, ferns, and the usual shade garden choices. With so many perennial selections, it makes sense to add ones that can survive the difficult elements. This includes low maintenance although in a really dry season, a little watering is helpful and necessary to keep the plant healthy. A little sun can be tolerated but it prefers woodland shade. It is a great understory perennial. Don’t be surprised when the plant fades after blooming. This is typical; similar to poppies. No need for alarm. Position in your garden accordingly and as its showy flower fades, there is something else to take its place. 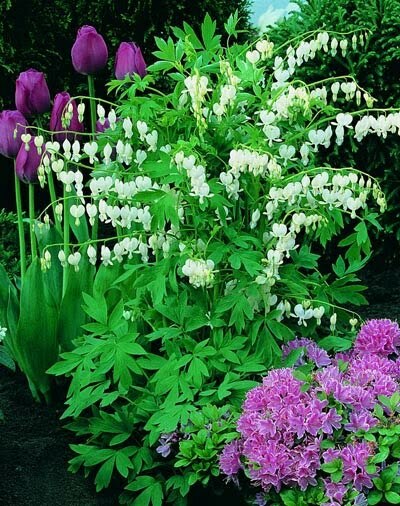 A suggestion - plant behind a drift of hellebores or hostas so there isn’t a gaping hole. Michael Nolan captures it best with his inspirational quote of the day. “There are many things in life that will catch your eye, but only a few will catch your heart...pursue those.” Happy planting. Annie.